Novel Strand Brewing Co.: At the end of September, the brewery leased a 2,064-square-foot spot in the Baker neighborhood. Co-owner Tamir Danon said Novel Strand leased the space at 305 W. First Ave. for seven years. Danon said the brewery will have a coffee shop during the weekdays and will serve beer Thursday through Sunday night. The brewery is currently under construction and plans to open next summer. Oskar Blues: The Longmont-based brewery is opening its third Oskar Blues Grill and Brew restaurant in Denver this November. The 10,600-square-foot building will be located at 1630 Market St. in LoDo. The restaurant and bar will be located upstairs, while the downstairs area will be home to Black Buzzard, a new music venue. The concept was designed by Oksar Blues Fooderies, a division of the brewery which started in Lyons in 1997. The company signed a lease with City Street Investors for 10 years at the Market Street location. 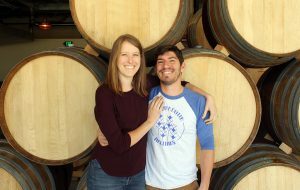 Haykin Family Cider: The cidery is looking to open in Aurora in November at 12001 E. 33rd Ave. The company is run by husband-and-wife team Daniel and Talia Haykin. Daniel first started making ciders in 2013, and has collected several accolades from wine and cider competitions. Denver Beer Co.: Best for Colorado will host an employment event at Denver Beer Co.’s location on Platte Street on Nov. 14. The event is focused on breweries and distilleries. Best for Colorado helps employers create more quality jobs. Unusual Attitude Brewing: The brewery recently raised $75,000 from two investors, according to an SEC filing from Oct. 17. It is looking to raise $425,000 total. The brewery does not have a taproom space yet, but launched its website and Facebook page in 2015. Aspen Brewing Co.: The brewery will leave its taproom at 304 E. Hopkins Ave. in Aspen next week. It said on Facebook that it has not found a new spot yet. The Aspen Times reported the building was purchased by Hillstone Restaurant Group in May. The organization gave notice to Aspen Brewing and the restaurant downstairs to vacate the space by the end of the month. Chrysalis Barrel Aged Beer: Chrysalis launched a Kickstarter campaign on Oct. 15 to raise money for its taproom. The brewery is looking to raise $25,000 by Nov. 11. Chrysalis has a location at 201-A First St. in Paonia. Needle Rock Brewing Co.: The Delta-based brewery will open its doors at 820 CO 92 this weekend. Needle Rock will have a full restaurant as well. Brewer’s Association: The Boulder-based not-for-profit organization launched the Take Craft Back campaign last week. The crowdfunding campaign seeks to raise the estimated $213 billion it would take to buy Anheuser-Busch InBev. Since launching, 9,200 people have pledged nearly $3 million to the campaign. 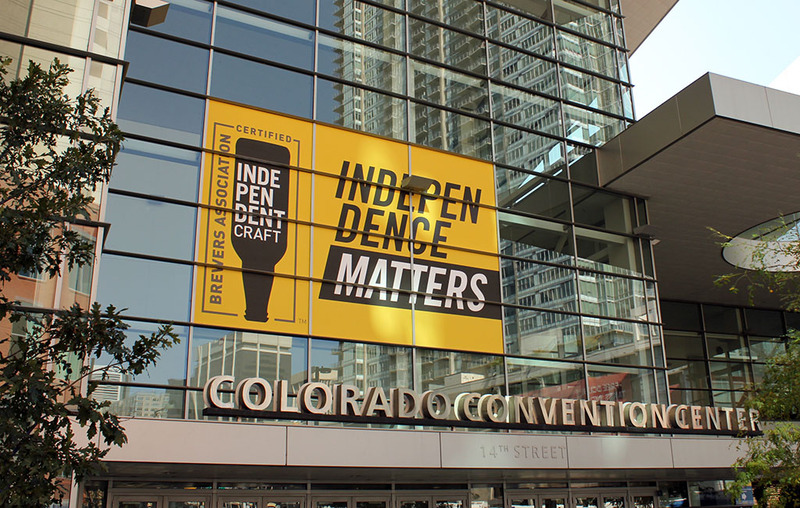 The association recently created a seal for independent craft brewers that can be used on any media or product from a brewery that fits the association’s definition of an independent brewery. The association also hosted the Great American Beer Festival, and put a lottery system in place in 2017 for companies that own more than one brewery. Primitive Beer: The Longmont-based brewery recently finished the buildout on its 4,000-square-foot location at 2025 Ionosphere St. Owners Brandon and Lisa Boldt both also work at Odd13 Brewing Inc. Lisa said they are the first tenants in the building, and estimated the buildout cost $330,000. Primitive used Boulder-based ABL Design and Construction as the general contractor. Instead of adding yeast to beers, Primitive has a spot where the liquid is poured into a metal, open-air container. The natural particles in the air help to give the beer flavor. Brewing this way can only be done in Colorado during the spring and fall. The Boldts began brewing this year in order to have a batch of aged beer ready for Primitive’s opening this spring.